Get ready for the royal ball! 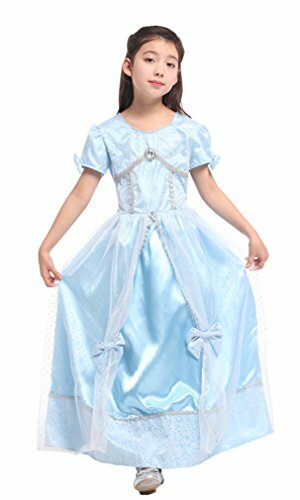 Your daughter will be the prettiest girl at the royal ball with our Cinderella Movie Prestige Children's Costume. 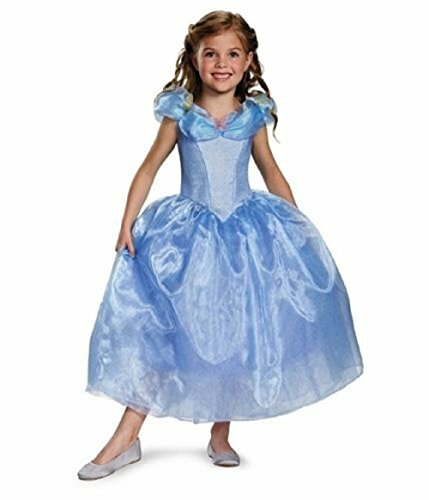 Make sure your child is the belle of the ball in our blue gown Cinderella costume. Does not include shoes. 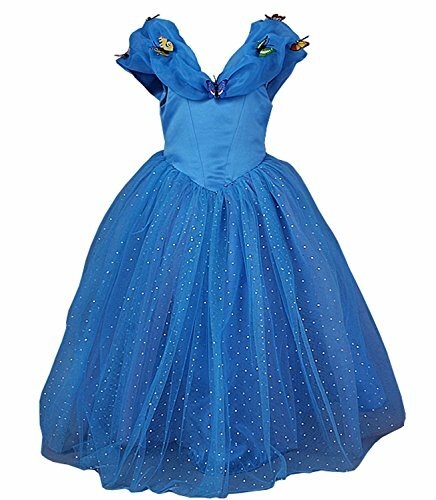 This is an official Disney Princess product. 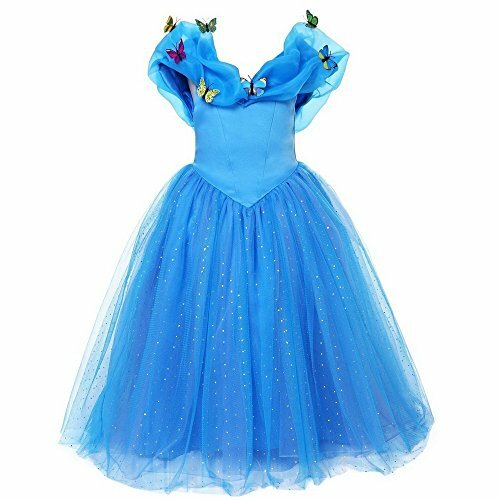 Cinderella lives a harsh life under the rule of her evil stepmother. 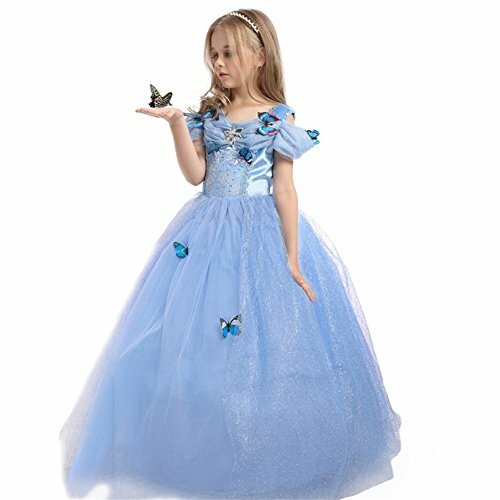 One day, her fairy godmother comes to send here to the royal ball where she meets the prince and falls in love and lives happily ever after. 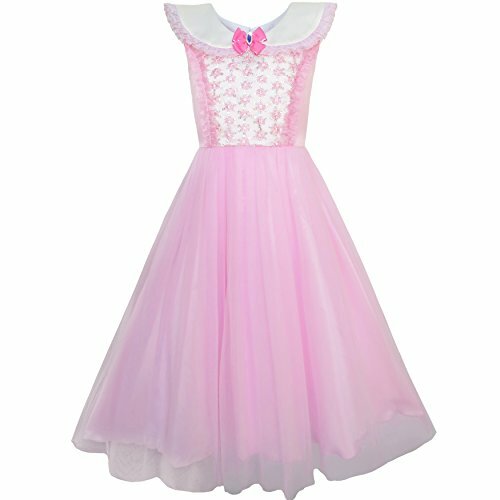 Give your little girl her Cinderella moment at her next holiday party, birthday, or pageant in this gorgeous gown. 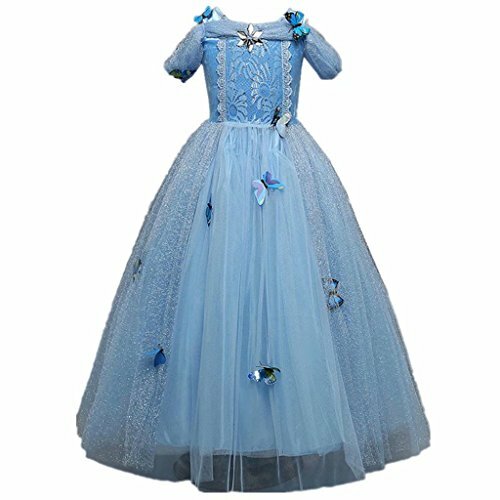 Beautiful, sparkly accents adorn a long, shiny dress that can be paired with a wand, ballet slippers, hairclips, crowns, tiaras, pearls, or any other princess-like accessory you choose to create a regal and elegant look all your own. 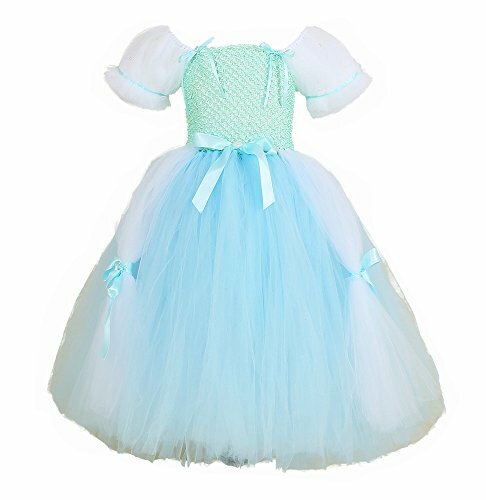 Your child can be princess for a day at her or her friends' birthday parties, on amusement park trips - or even just around the house - this dress is great for imaginative and pretend play. High-quality, non-flammable materials ensure durability and safety.